This collection comes with an introduction by Mark Gatiss, best known for playing Mycroft in the TV series, Sherlock. 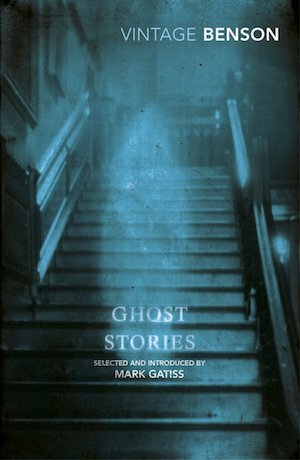 I discovered that Gatiss and I share a love of Victorian ghost stories: he made a documentary on the life of the greatest of them, M.R. James, a writer who was Benson’s contemporary and influenced him. Although I still think no one beats James at creating atmosphere, I enjoyed these stories. One of my favourites is The Room in the Tower. The narrator has a recurring nightmare that he is in a country house with a particular family. The dream always ends with the dreaded words from the hostess, “Jack will show you your room: I have given you the room in the tower”. What is it that lurks in the tower that so terrifies him? Supernatural goings on lurk in seemingly normal places: in the village of Maxley, “rich in amenities and beauty” a new resident is not really the friendly, outgoing person she seems to be; on a visit to the countryside, on “a golden day that every now and then leaks out of paradise and drips to earth”, the narrator walks through a forest that harbours something very strange and nasty; and the panels in a church in Polearn, a remote village in West Cornwall, tell of a pestilence that walks in the dark. And you will never look at caterpillars in the same way again. Benson’s descriptions, especially of the English countryside, are beautifully written: “once out of the shadow of the wood the stream lay in flaming pools of molten crimson of the sunset, and lost itself in the haze of woodland distances”. But there is always a dark side: the forest without woodland animals or birdsong, where a thing moves with a “certain stealthy heaviness”, emitting a foul odour. And for me, the scariest image in the book: the figure haunting the room in the tower, glimpsed briefly in a flash of lightening, watching the narrator as he lay in bed. Ghost stories tap into our fear of the unknown, and the Victorian writers gave us just enough detail to allow our imaginations to fill in the gap. That is their secret, and that is why some of the scariest, most enduring ghost stories come from that period. Today is Christmas Eve: the perfect time for pulling our chairs closer to the fire, virtually speaking, and telling stories about ghosts. Ghosts have fascinated me ever since I was a child and was on the lookout for beautiful churels (female ghosts or demons) who lure away wandering children. (You could tell them by their feet—they were the wrong way around.) As a nine-year-old in Chile, travelling with my parents on a boat from Puerto Montt to Punta Arenas, I used to scan the moonlit sea for a glimpse of a phantom ship that was said to spirit away fishermen sleeping in their boats. Then there were my mother’s close encounters with ghosts—my mother, who was one of the most unsuperstitious people I’ve known. As a young couple, my parents lived briefly with my grandfather in an old house that belonged to the Indian Railways in Hyderabad. My mother said she had a constant feeling of being watched. She heard inexplicable sounds like a drunken Englishman singing or even, once, maniacal laughter. Four decades later, my parents were in the area on their way to dinner with some friends and drove past the old house. It had been abandoned—the garden was overgrown, the paint was peeling and the windows shattered. They mentioned it to their host, who said “Oh, the haunted house? No one wants to live in it. An English officer committed suicide there, and they say his spirit haunts the house.” The officer had killed himself in the room my parents were staying in. My fascination with the spectral didn’t disappear as I grew up—quite the opposite. So when I found Roald Dahl’s Book of Ghost Stories, I couldn’t resist it. Apart from writing for children, Dahl has written several very disturbing stories for adults. I was curious to see which stories he would pick. In his introduction, Dahl says that he read hundreds of ghost stories but dismissed most of them as badly written and not spooky enough. According to him, the 14 stories collected here were the best he found. This is just the kind of statement that sets an editor up for a fall—saying these are his favourites is one thing, but saying they are the only good ones is, in my opinion, rubbish. I can’t believe he dismissed the master of ghost stories, MR James, Dicken’s The Signalman and so many more (for example, Susan Hill, whose novella The Woman in Black is terrifying). What I enjoyed about this collection was that I hadn’t read most of these stories. And that’s saying something! As in any collection, the quality varies. There are some excellent ones: W.S. by LP Hartley, about why writers should think very carefully about what they write; Harry by Rosemary Timperley, about a child and her brother; Edith Wharton’s Afterward about a man whose sins catch up with him; and The Ghost of a Hand by Sheridan Le Fanu, which is downright creepy. But equally, there are a few that aren’t very spooky and quite ordinary, which is why I took issue with Dahl’s sweeping statement. 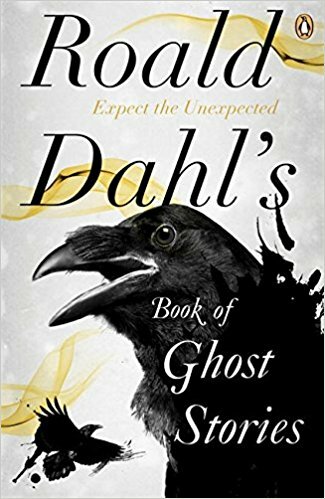 But Dahl’s persnicketiness has resulted in exposing readers to tales that don’t often make it to standard collections of ghost stories, and for that alone, this book is worth a read. One comes to books through many routes. I’ve been fortunate to have been surrounded by fellow bibliophiles who often come bearing wonderful gifts of books I may not have run into otherwise. Some of my favorite titles have been introduced to me thus. But occasionally I will follow up on a review or an author interview and buy a book simply because I like the sound of the writer, or the premise of the novel sounds like nothing I’ve heard before. It was on The New Yorker Radio hour that I came upon Omar El Akkad, a Canadian writer of Egyptian descent, and his debut work, a speculative novel called American War (Penguin Random House). Akkad tells an audacious but scarily plausible story. The events of the novel take place some sixty years in the future, in the midst of a second civil war. The battle lines, once again, are drawn between the north and the south. And once again, a key economic driver is at the heart of the conflict–as it perhaps always is, in any war. Not slavery this time, but energy. The South refuses to comply with the Federal government’s ban on fossil fuel and instead takes up arms against the new Unionists lodged now in Columbus, Ohio, with climate change having eaten away the coastlines and the borders having moved inland, after “the planet turned on the country and the country turned on itself”. And while America self-destructs, two competing powers rise in the East, the Bouazzizi Empire (recognizable as the Gulf nations) and an Asian giant (China?) whose interest lies in keeping the war going. In its somewhat futile but stubborn rebellion, the Southern army recruits idealistic young people willing to serve as suicide bombers and assassins, their anger fed by the North’s merciless attacks that destroy whole communities and break families. Sarat Chestnut is one of them, and her story, at once heroic and hopeless, is told by her nephew, Benjamin Chestnut, one of the “miraculous generation” to survive the years of violence and disease and emerge into a period of uneasy peace to study the history of his nation and his people. Akkad uses a mix of storytelling techniques. There is Benjamin’s memoir, told partly in first person and given over partly to a third person reconstruction of Sarat’s life. There are government bulletins, some heavily redacted, that make a distorted mirror of the times. And there are the dispassionate war reports from journalists trying hard to be objective. But it is Sarat who dominates the novel; we meet her as a feisty six-year-old playing in the rising waters of Louisiana and follow her as she turns into a taciturn teen in a refugee camp, and watch her turn ripe for recruitment into the rebel cause. She represents, in many ways, the heart of the rebellion, and the spirit that keeps it going over the twenty years of its playing out. Despite the compelling premise, the book calls for a fair amount of patience and a willingness to wait for its promise to be fulfilled. It is possible to get confused by all the detail–some chapters mimic a history textbook–and keep some of the minor characters straight. But sticking with it proves rewarding, in the end, even if somewhat depressingly so. And the thing about dystopic–or speculative–fiction is, it is all frighteningly possible, even probable. My frustration with this book was the first 30 pages felt very fragmented, as we are rushed through a bit of background. I felt like I couldn’t settle on anything because I was hurried on to the next scene. It settles down eventually, but the play still felt like there was a book trying to get out. And a novel would have done justice to the story—because it is a good story. That is something you can rely on Rowling for, with or without co-authors. Maybe it works on stage but as a book, I could have done with more depth and detail. England, early 1800s. The country is at war with France under Napolean. Magic—the practical kind, anyway—has not been seen in the land for hundreds of years. The only magicians left are theoreticians, men who had never caused a “leaf to tremble upon a tree or made one mote of dust alter its course”. But all that is about to change. Enter Gilbert Norrell, a practicing magician. A recluse, he lives in an old house in Yorkshire, surrounded by his precious books on, and of, magic. He is attended to by his manservant, Childermass, himself no stranger to the occult. Norrell is determined to make English magic respectable again. He travels to London to offer his services to Sir Walter Pole, the minister of war. Sir Walter refuses to take him seriously. “Magic is not respectable, sir.” But this rejection only makes Norrell more determined. He sees his chance and decides to revive Sir Walter’s fiancé, Emma, who has just died. But Norrell’s powers as a magician are not powerful enough to bring back the dead. For that, he needs to put aside his normal caution and call upon “old magic”, far more dangerous and unpredictable. The fairy he summons is not cute little thing with wings: it is a “gentleman with thistledown hair”, cold and treacherous. The gentleman strikes a bargain with Norrell: in return for bringing Emma back, he gets half of whatever life she will have. It works. A grateful—and convinced—Sir Walter allows Norrell to help with the war. Meanwhile there is talk of another great magician in England. In Shropshire, Jonathan Strange, a feckless son of a landowner, discovers by accident that he has a talent for magic. Wanting to learn more, he goes to London to meet Norrell, who takes him on as a pupil. Strange reads about the old magic of the Raven King and is intrigued, but Norrell refuses to talk about it, saying that it was the reason English magic had fallen into disrepute. Strange, however, is determined to bring it back, with or without Norrell’s help. In the meantime, the gentleman with thistledown hair is whisking Emma off as soon as she is asleep to dance all night in his Kingdom of Lost-Hope. Emma is going crazy, and no one can understand what is wrong with her because the spell prevents her from talking about it. When she tries, what comes out is completely unrelated to what she is trying to say. Things slowly come to a head—Jonathan awakens a long-sleeping magic, the gentleman goes a little too far, and Norrell watches helplessly as his life’s work is slowly undone. The sprawling book pulls you into an alternative reality where you can believe that an entire fleet can be conjured out of rain, and horses out of sand and ocean. This is a modern Victorian novel, both in the writing and the many, vividly drawn characters who inhabit it. There is not enough space here to do justice to the many twists and turns of this tale. 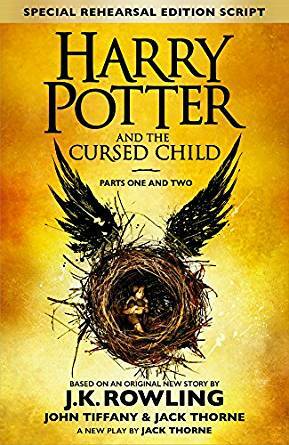 Some of the action takes place in extensive footnotes peppered throughout that also detail the history of English magic. But essentially, this is a book about knowledge and the power it brings. 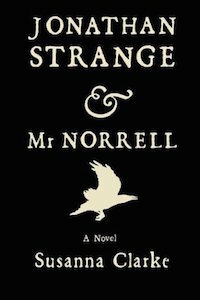 Norrell denies Strange the knowledge he craves because he doesn’t trust him with it, and so brings about the very thing he dreads—the breaking down of the barriers between the old magic and modern England. The two men at the heart of the book couldn’t be more different from each other: Mr. Norrell, cautious and pedantic, whose knowledge comes from books; and Jonathan Strange, flamboyant and reckless, who does things by instinct. And the third man who is also at the heart of the book is the gentleman with thistledown hair, conniving and manipulative, who will stop at nothing to take anyone he wants for himself. At almost 800 pages, this is not a quick read, but it is a complex, layered book and a pleasure to get lost in. The best ghost stories were written by Victorian writers, who knew that the most effective way to scare people was to leave something to the imagination: unsettling figures are glimpsed, noises are heard but not accounted for. Susan Hill picks up this tradition, using some of the conventions of the Victorian ghost stories: the first-person narration with the narrator looking back on his experiences. The language she uses echoes the cadences of the writing of that period. 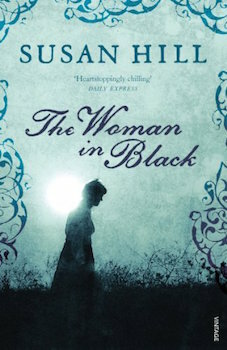 And although this novella, The Woman in Black, doesn’t specify when it was set, I’d guess that it’s in the late 1800s/very early 1900s, towards the end of the Victorian era. It starts, as many good ghost stories do, at Christmas. The narrator, Arthur Kipps, is sitting by the fire with his wife and stepchildren, when they ask him to tell them a ghost story. This upsets him so much that he has to leave the room: the only ghost story he can tell is not one he can share over a cosy fire. Instead, he decides to write it down and lay the ghost to rest, so to speak. As a young solicitor, Kipps is sent to Eel Marsh House to look over the papers of the late Mrs. Alice Drablow. It seems like everyone he meets in Crythin Gifford, the village near the house, knows something about Mrs. Drablow that they’re not telling him. At her funeral, he hears a rustle of skirts and sees a woman in black, stricken with what he thinks is a “horrible, wasting disease”. She isn’t there when they leave the church but he glimpses her again at the graveyard. When he goes out to the house, which can only be reached by a causeway at low tide, he finds Mrs. Drablow’s papers in a mess. Going out for a walk to clear his head, he sees the woman again by a little graveyard in the grounds. He is repulsed by a sense of “desperate, yearning malevolence” that emanates from her. One night when Kipps stays there against his better judgement, he is woken by an odd sound. The sound leads him to a locked room—a nursery—now open with a gently rocking chair. The next morning he goes out for a walk. Turning back, he finds the woman watching him from the nursery window. Eel Marsh House is haunted by the spirit of this dark vengeful woman, and she will not rest until she has what she wants. Susan Hill builds a sense of menace and foreboding. Her writing is vivid and unhurried, almost lyrical when describing the landscape. In a nod to M.R. James—the best of the Victorian ghost story writers—one of her chapters is titled Whistle and I’ll Come To You, one of James’s best-known stories. And like James, her story will haunt your nightmares for a while to come. This is a strange and beautifully written tale told by two young women, Mary and Morgan. Mary lives in a community on an island where the islanders trade with the “tall men” who come from the mainland. Boys on the island start to disappear, and Mary suspects the tall men. One day, when the tall men come, Mary’s little brother Barney also goes missing. Morgan, meanwhile, lives in a house from which she is not allowed to leave. Her mother has built a huge fence around this house, which she keeps padlocked, and is apparently hiding from something that has happened in the past. None of the family, except for the father, are ever allowed out. And then there’s the Thrashing House—a central point in the story and a character in its own right. It is a place that comes alive to punish those who commit crimes. No one who goes in there is ever seen again. It is the women who hold the key to this place, and and it is they who decide—at least to some extent—who needs to be sent there. However, the Thrashing House also has its own way of summoning people. This is a book about searching for something or someone vital: Mary for her little brother, Morgan for escape, Morgan’s mother for safety, an island woman for a part of her self buried in the ground. The book is about secrets and traumas, and the healing that follows, although this is just hinted at and left mostly to the reader’s imagination. The island is full of legends and ghosts, and women who know much more than they are willing to tell. Throw in some magic realism—bird women, the snake ropes of the title, keys that hold memories, seal women or selkies—and you get a wonderful and very atmospheric story.